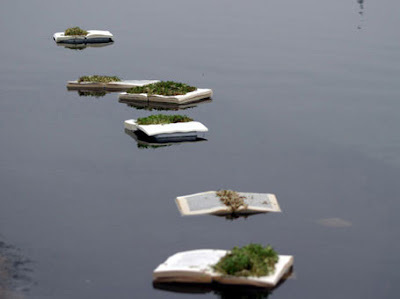 Recently I came across those floating books by Selina Swayne. I seem to have missed this Floating Exhibition on Serpentine in 2006. Very evocative, aren't they? I would like to find out more about what is behind the installation.